Understanding the History of the geography that is Catawba County is essential to understanding where your ancestors were born and lived. Present-day Catawba County was originally part of Anson County when the first land deeds were filed about 1750. Soon after, in 1753, Rowan County was established to govern what is today all of the northwestern quarter of North Carolina. 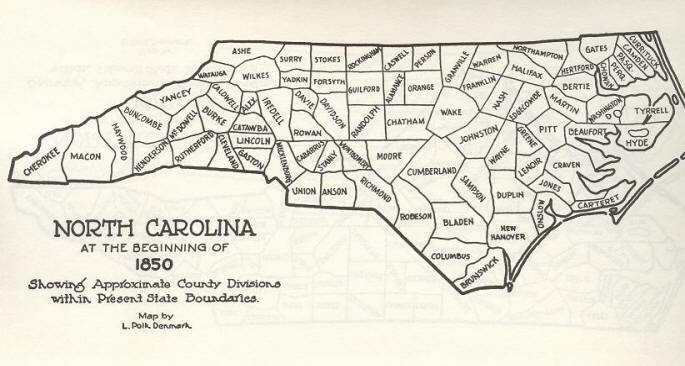 The area of North Carolina that is now Catawba County was part of Rowan County at that time. Today's Catawba County was part of Rowan County until 1777 when Burke County was sliced off the western half of Rowan County. What is now Catawba County formed the eastern portion of Burke County until 1779 when Lincoln County was formed. Included in Lincoln County was all the land south of the old Weidner path leading from Sherrill's Ford. When the new county line reached the South Fork River, just south of the Weidner plantation, it was then surveyed in a straight line to the southwest, taking most of the area south of Jacob's Fork. 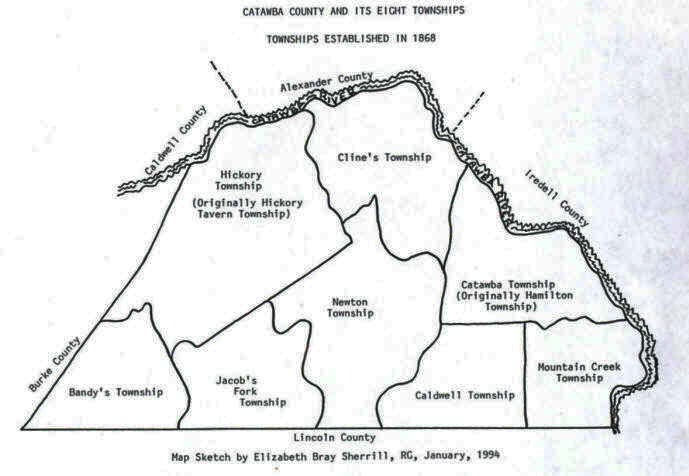 In 1784, in a reorganization of the western districts, all the land north of the Weidner path that is in today's Catawba County was added to Lincoln County. At that point, Lincoln County consisted of all the present portions of Catawba, Lincoln and Gaston counties, plus a small part of today's Cleveland County. Lincolnton was founded in 1785 just after the reorganization and was strategically situated in the center of the county. As early as 1778, Henry Weidner, George Wilfong, Francis McCorkle, Moses Sherrill and others petitioned for their own county so that they would not be so far removed from the seat of government. By the 1830s, the next generation wanted the autonomy of self-rule among those able to gather within a day's notice from all parts of their community. Millers and tradesmen provided services for the many farmers. The militia drilled at Mathias Barringer's field and some marched with other Lincoln County men to fight the Creek Indians during the War of 1812. Children weaned on the stories of Ramsour's Mill and King's Mountain came of age and strongly demanded their own county. Save for a few notable exceptions, the future Catawbans were closed out of the influential offices of Lincoln County. Ten men represented Lincoln County in the State Senate during its first twenty years. Two were from the northern part of the district/county and neither was German - like many in the Catawba area. In the beginning, the Catawba County area was only slightly populated and was still considered part of the frontier. There were, perhaps, two hundred people living in Newton at the time. Hickory's only building was a tavern at a crossroads. 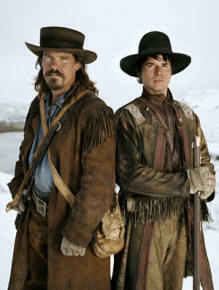 The people who stopped at the tavern were only there to change stagecoaches, water their horses or get something to eat. A person blessed with longevity could have been born in Rowan County in 1753, married in Burke County in 1777, fathered children in Lincoln County in the 1780s and died in 1842 during Catawba County's formation year while living on the same land all the while. His land simply became part of the new counties as they were formed due to population growth. 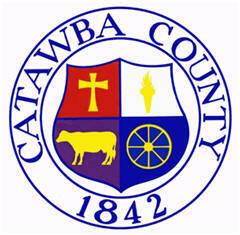 Catawba County was formed in 1842 from Lincoln County. It was named for the Catawba tribe of Native Americans who once inhabited the area. The present land area of the county is 399.97 square miles. Catawba County is boarded by Alexander County (north), Iredell County (east), Lincoln County (south), Burke County (west) and Caldwell County (northwest. The county is divided into eight townships: Bandy's Caldwell, Catawba, Clines, Hickory, Jacobs Fork, Mountain Creek, Newton, and Longview. Cities, towns and communities in Catawba County include Brookford, Catawba, Claremont, Conover, Hickory, Lake Norman, Maiden, Mountain View, Newton, Sherrills Ford, Longview, St. Stevens and Vale. Catawba County contains a treasure trove of historical facts and a number of famous people that have at one time or another call this county their home. 1. On the historical side of things, Catawba County was once one of the biggest gold-producing regions in the entire country. Until the California Gold Rush in 1848, North Carolina led all states in gold production. 2. In the 1940's, Catawba County was recognized nationally for the courage of its people in conquering a polio epidemic. In just 55 working hours, people joined together to turn an area youth camp into a hospital. 3. The Hickory Museum of Arts is the second oldest museum in North Carolina and is known for its concentration of American art. 4. After the Civil War, the county began an annual event in 1889 to honor its military, "The Old Soldiers Reunion". The yearly event is held on the third week of August in Newton and it is the oldest continuing patriotic celebration in the country. 5. You might be surprised by who has (or currently) calls this area home. Catawba County has been called the "Birthplace of NASCAR" and there have been quite a few drivers living here: Tommy Houston, Robert Huffman, Bobby Isaac, Dale Jarrett, Glenn Jarrett, Ned Jarrett, Matt Kenseth, Jeremy Mayfield, Ryan Newman, Dennis Setzer, Morgan Shepherd, Michael Waltrip, and . 6. The county also boasts several professional athletes, coaches and other athletes: Rich Barnes (Coach for Tennessee Volunteers Basketball), Madison Bumgarner (2010, 2012, 2014 MVP - World Series Champion Pitcher for the San Francisco Giants), Paul Burris (Pitcher for Boston/Milwaukee Braves), Bryan Harvey (Major League Baseball player), Bob Patterson, Shane Burton, Chris Douglas, Justin Harper, Chad Lail (Professional Wrestler known as "Gunner in TNA Wrestling), Bobby Lutz, Ryan Succop (Placekicker for the Tennessee Titans), Chris Washburn (1986 1st round NBA selection), and Kevin Wilson. 7. There is also no shortage of actors, actresses, musicians, authors and comedians from this area. 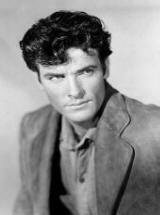 The list includes: James Best (Actor, "The Dukes of Hazzard" fame, lived the latter part of his life and died in Hickory), Pauletta Pearson Washington (Actress, Former Miss Newton and wife of Actor Denzel Washington), Jon Reep (Hickory born Comedian), Tori Amos (American Singer & Songwriter; born in Newton) and Matthew Settle (Actor; born in Hickory). James Best was an American actor, who in six decades of television, is best known for his starring role as bumbling Sheriff Rosco P. Coltrane in the CBS television series The Dukes of Hazzard. 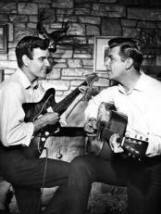 James Best was born as Jewel Franklin Guy on July 26, 1926, in Powderly, Kentucky, to Lark and Lena Guy. After his mother died of tuberculosis in 1929, then three-year-old, James was sent to live in an orphanage. He was later adopted by Armen Best and his wife Essa and went to live with them in Corydon, Indiana. He served honorably in the United States Army Air Forces as a gunner on a B-17 bomber during World War II. 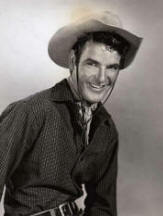 James Best appeared on a long list of other television series including Wagon Train (three times), The Adventures of Kit Carson (twice as Henry Jordan), the western anthology series Frontier (twice), The Rebel, Bonanza, Sheriff of Cochise, Pony Express, Rescue 8, Behind Closed Doors, The Texan, Gunsmoke, Have Gun – Will Travel, The Barbara Stanwyck Show, Tombstone Territory, Whispering Smith, Trackdown, The Rifleman, Stagecoach West, The Twilight Zone ("The Grave", "The Last Rites of Jeff Myrtlebank," and "Jess-Belle"), Wanted: Dead or Alive, Overland Trail, Bat Masterson, Alfred Hitchcock Presents, The Man and the Challenge, Combat!, The Green Hornet ("Deadline For Death"), The Mod Squad, I Spy, The Fugitive and In the Heat of the Night. 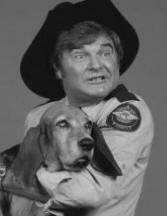 James Best died on April 6, 2015, in Hickory, North Carolina from complications of pneumonia. He was 88. 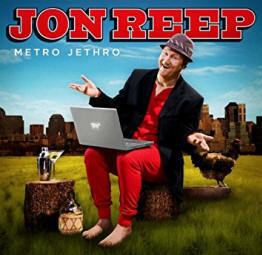 John Reep is an American stand-up comedian and actor, known as the "That thing got a Hemi?" 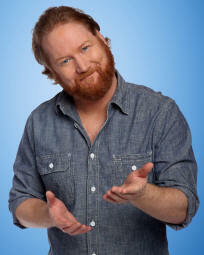 guy in Dodge commercials, and more recently as the winner of the fifth season of Last Comic Standing on NBC. 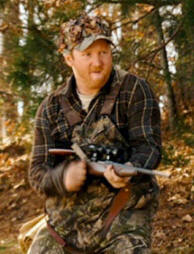 John Reep was born and raised in Hickory, North Carolina. He has one younger brother, Jason. Their father, David, worked as the manager of a Goodyear store, and was a part-time police officer. Their mother, Betty, was a receptionist at a local telephone company, Sprint. John attended Fred T. Foard High School in Newton and played football. After graduating high school, he began attending Catawba Valley Community College while working at his father's Goodyear store. In 1992, John transferred to North Carolina State University in Raleigh, North Carolina, and graduated in 1996 with a BA degree in theatre, mass communication and public and interpersonal communication. After graduation, John landed a job as a production assistant with UNC-TV before moving into comedy. He also appeared in the 2008 movie, "Harold & Kumar Escape Guantanamo Bay". Matthew Settle (born Jeffrey Matthew Settle on 17 Sep 1969) is an actor who is best know for his role of Rufus Humphrey in the CW TV series Gossip Girl from 2007 - 2012, the TNT TV miniseries Into the West in 2005, and the HBO miniseries Band Of Brothers in 2001. 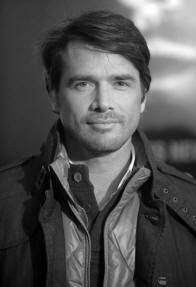 Matthew Settle was born in Hickory, North Carolina, the son of Joan and Dr. Robert Settle, who is a Baptist minister. Other notable film and TV appearances of Matthew Settle include I Know What You Did Last Summer in 1988, ER in 2002, The Practice in 2003, CSI: Miami in 2003, Law & Order: Special Victims Unit in 2005, and Brothers & Sisters in 2006. 8. Did you know that Chris Hughes, co-founder of FACEBOOK, was born in Hickory? 9. Catawba County is part of the data center corridor. Maiden is home to the Apple iCloud data center, and Conover is home to the ncDataCampus, and the largest privately owned solar farm in the United States operated by Apple.